RRP $167.00 $147.00/unit for 4 pcs. 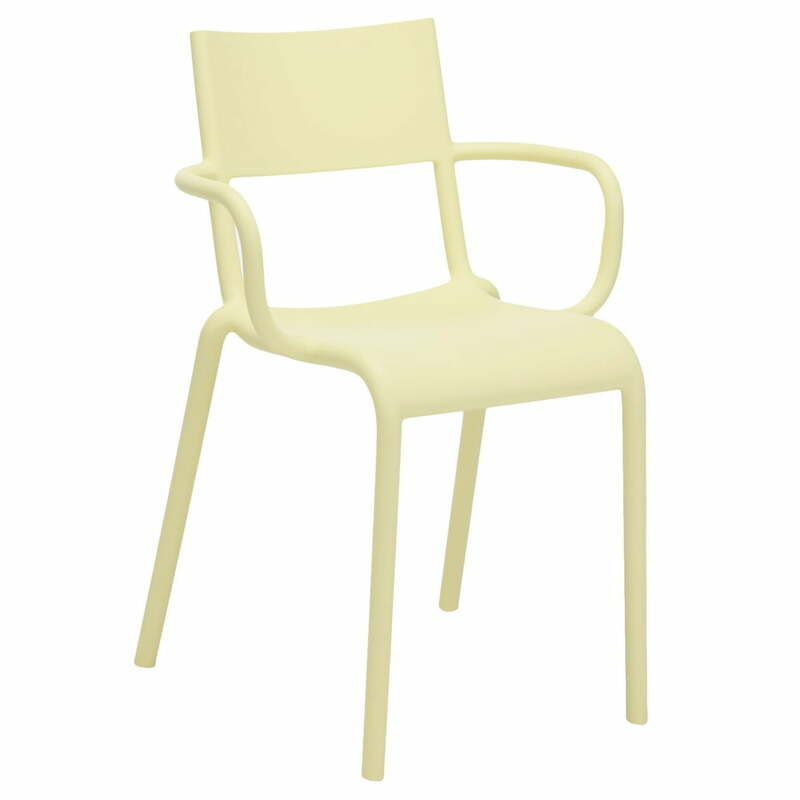 The Generic A chair is made of dyed, modified polypropylene and is available in various colours. This makes it particularly robust and durable, but also extremely light and therefore very versatile. 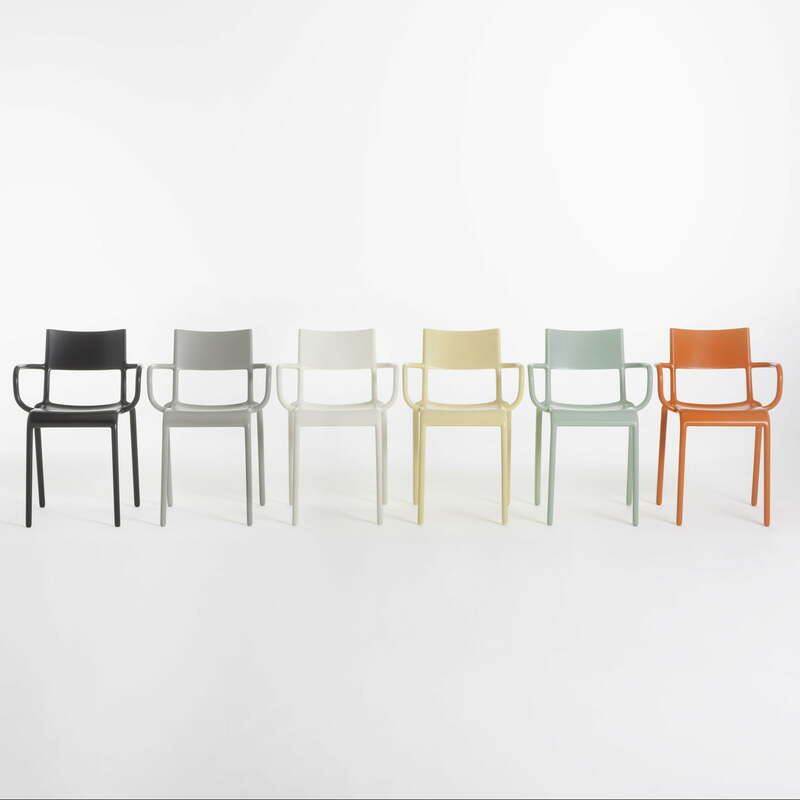 It can be used wherever the chair is needed and is convincing everywhere with its functional and linear design. 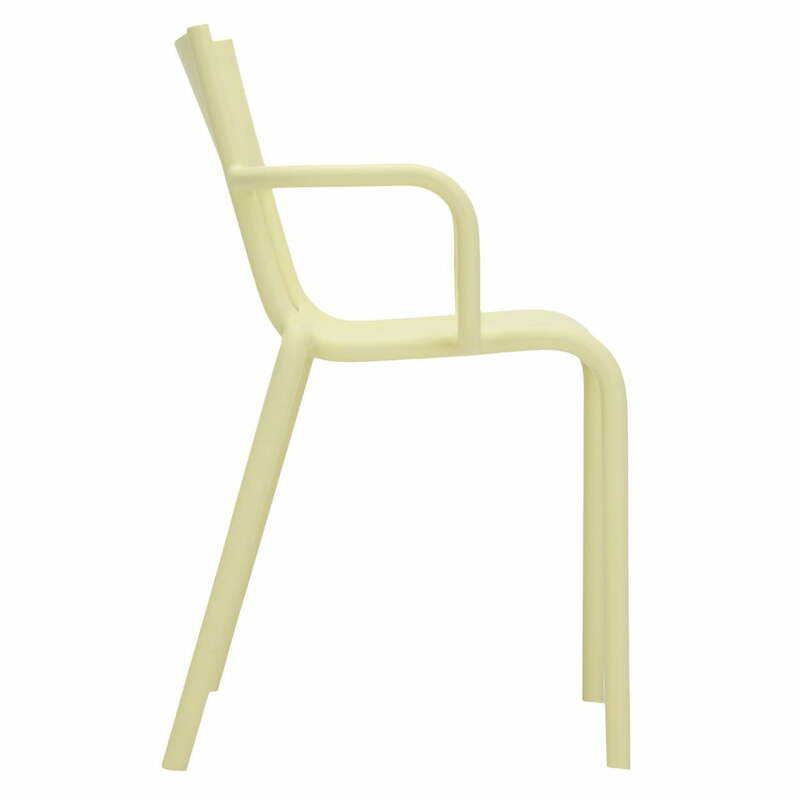 The Generic A chair is also suitable for outdoor use, where it functions as a modern garden chair. 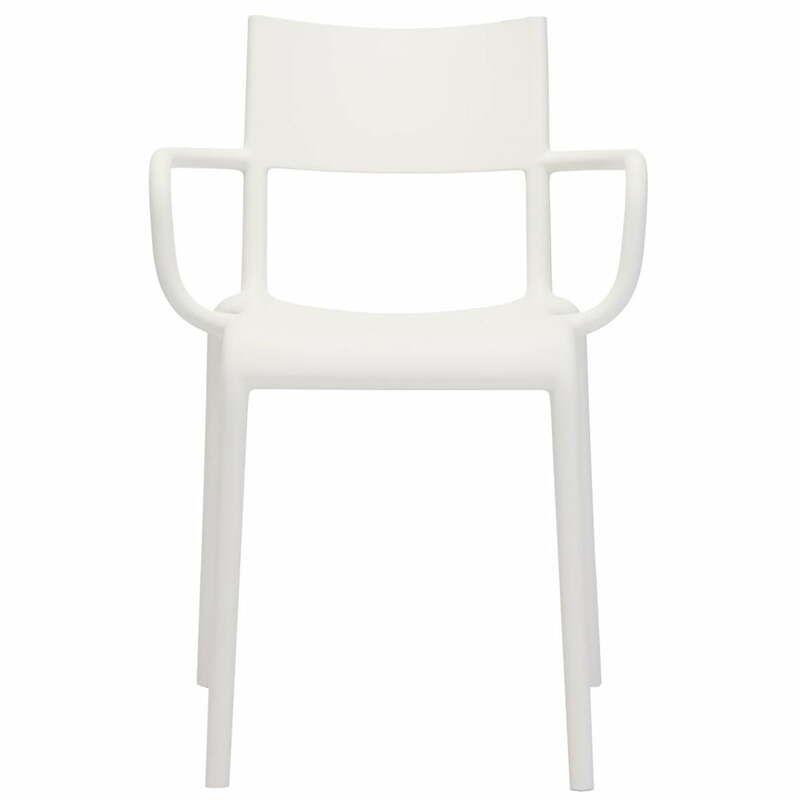 Moreover, it is stackable and can be used indoors as a dining room chair. 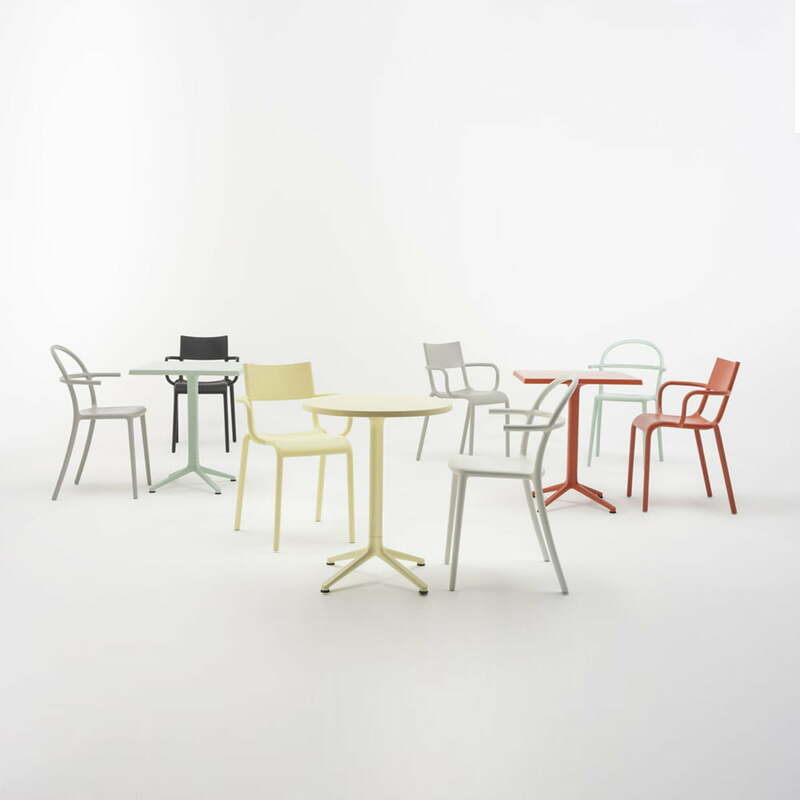 Philippe Starck's concern with the Generic series for Kartell was to return to the essential form of furniture; so he created generic ideotypes on chairs and tables for common areas, offices as well as recreational areas. 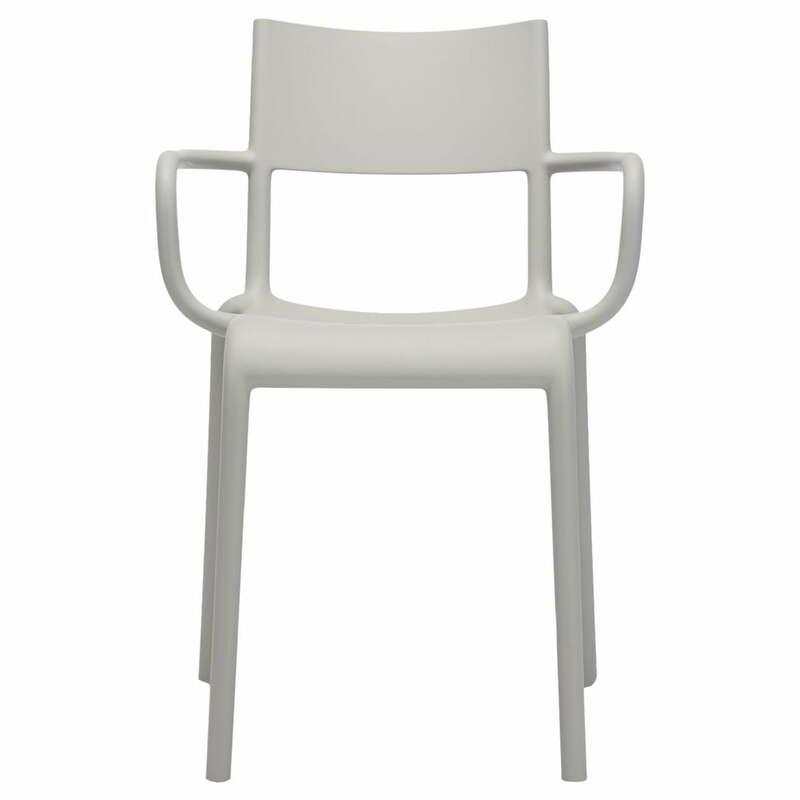 As part of this series, the Generic A is an armchair chair in its most classic form. It is reduced to the essentials and is suitable both for the office and as chair for the private sector. 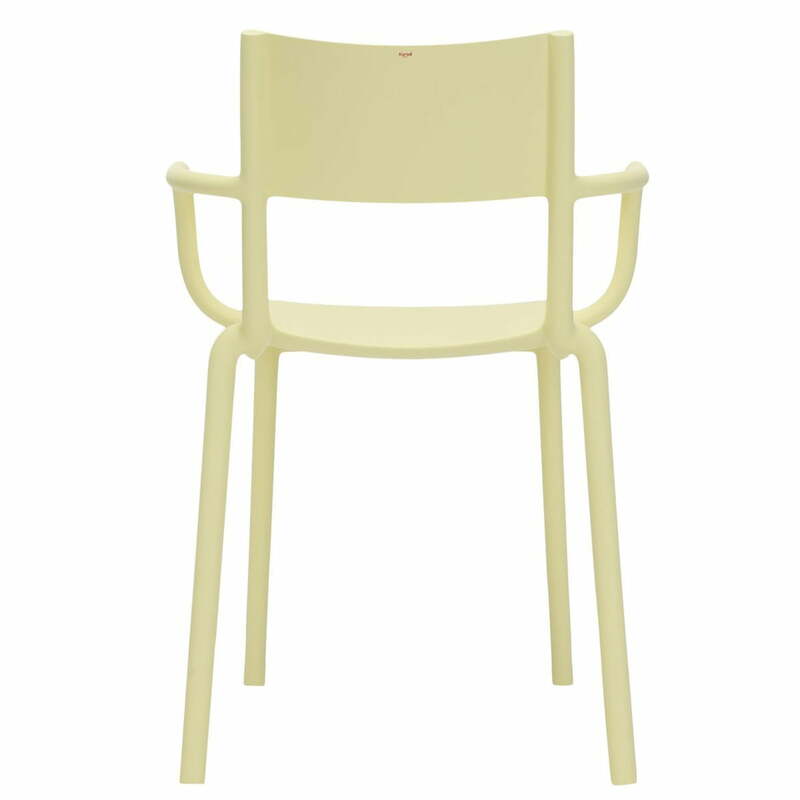 Isolated product image of the Generic A chair by Kartell in yellow. It can be used wherever a chair is needed and fits in anywhere with its functional and linear design. The Generic A is an chair with armrests in its most classic form. It is reduced to the essentials and is suitable both for the office and as a chair for the home.